We were recently talking with a subcontractor about the difficulty of tracking who was on a jobsite during a major build. He told us that Fed jobs and most major industrial jobs have a job gate and security to monitor workers, tools, and materials as they come on to the jobsite. However, on most commercial, residential, multifamily, mixed use retail, warehouse, education and healthcare jobs that is not the case. In fact, we were told, they spend more time, money and technology tracking tools than they do tracking the workforce on the jobsite. That can be a major problem when the contractor has up to a hundred subs and several thousand construction workers coming and going from the jobsite every day. Changing our culture in construction is a very slow process. Everything is complicated by politics, immigration, small scale startups, and contractors working out of the back of their pickups. 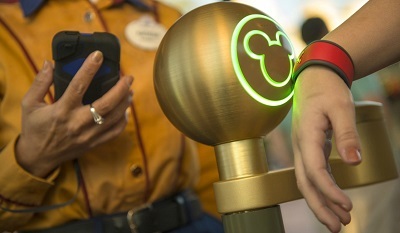 As technology makes inroads onto the jobsite, it is time to find ways to identify and track workers on the site as a matter of life safety and security, and Disney has taken that idea to the next level. My family recently went to Disney World for Spring break and I was fascinated by our magic wristbands that we wore the entire time we were in the Disney experience. I thought that the Disney experience of identifying and tracking everyone on the Disney site might be informative. I found this Wired article that explains how the Magic Wrist Band works to make for a seamless experience for all of us who visit. Don’t let the $1 billion system scare you away from the system. Since the article was written in 2015, technology on our iphones, iwatches and even our fitness bands has improved tenfold to the point where tracking the workforce on the jobsite can be a reality. Also, the system was not flawless. I was evidently tagged for some reason when we went to the park and about 80% of the time, I had to use my Magic Band, use my finger print and then call over a supervisor to clear me. Not flawless, but seamless enough to accommodate over 20 million visitors each year. When everything works, the reader flashes green and emits a pleasing tone; if something goes wrong, it glows blue—never red. Red lights are forbidden at Disney, as they imply something bad happened. Nothing bad can happen at Disney World.